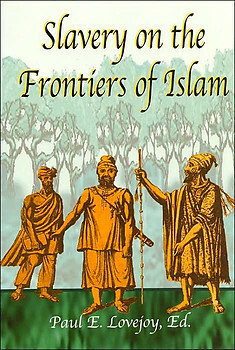 Slavery on the Frontiers of Islam was the first of three book design projects (including interior layout and indexing) done for Markus Wiener Publishers, Princeton NJ. The volume is available for order on the publisher’s website (http://www.markuswiener.com/) and on various online retail stores including (http://www.amazon.com) and (http://www.barnesandnoble.com). This collection of essays offers a new paradigm, in which the trans-Saharan and trans-Atlantic worlds of slavery are brought into focus under the same lens. While slave studies have considered either trans-Atlantic or Islamic slavery, rarely has any study combined the enslavement of Africans in America and the Lands of Islam in one volume. Both the Saharan and Atlantic worlds imported enslaved populations from western and central Sudan, but in general the two markets have been treated in isolation and without reference to the common bond of Islam and the multiple roles that Islam has played in the history of slavery, whether in West Africa itself, the Americas, or the Islamic Mediterranean. Western Africa served as the point of dispersion across desert and sea, but it was also the final destination of many of those who were enslaved but who were not transported across the Atlantic or the Sahara. Enslaved Muslims and non-Muslims who were brought into the world of Islam re-enforced or invented cultural features that were central to their identities as people from the central Sudan. The relationship between Islam and slavery is explored as a series of frontiers: in the Americas between enslaved Muslims and their Christian masters and the types of resistance and accommodation that arose there; in West Africa between Muslim and non-Muslim societies and the attempts at defining who was a Muslim in terms of issues of enslavement; in North Africa between Muslim masters and the enslaved population from West Africa and the popularity of spirit possession cults. Paul E. Lovejoy, York University (Canada), is the co-editor, with Robin Law, of The Biography of Mahommah Gardo Baquaqua: His Passage from Slavery to Freedom in Africa and America.